Don’t put your scouting cameras away after the season! Here’s a calendar showing where your cameras should be placed throughout the year to help you learn more about the deer and increase your odds of bagging a big one next season. Once thought of as a way monitor deer movements, thus the name “trail camera,” the use of game cameras has become a sport in and of itself. Camera users have come up with all kinds of creative ways to use the cameras to monitor wildlife activity and learn more about all kinds of animals. Yet most deer hunters still bring the cameras out before the season and store them away after the hunt is over. That can be a mistake, because the more you learn about deer year-around, the better your chances of shooting one come fall. Invest in some quality Covert scouting cameras and put them to work for you all year. Let’s take a look at a ways to strategically place the cameras through the year. 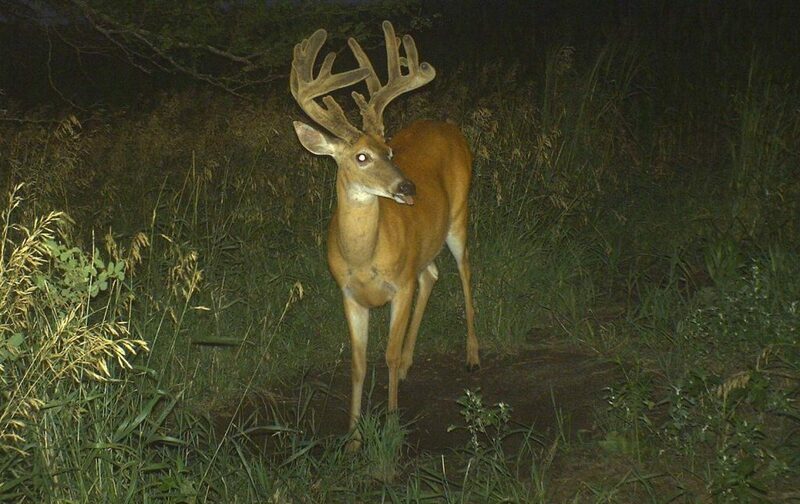 Having a mineral site with a trail camera on it during the summer will ensure you get photos of most of the bucks in your area. This is the time of the year to put your cameras on mineral sites. Most all of the deer in the area will visit sites laced with a good mineral attractant. Some will show up regularly, some only a couple times a month, but if your cameras aren’t out there you won’t get a look at the deer. I use mineral and keep it replenished each time I check the cameras, usually about twice a month. It has worked very good for me and it really helps me inventory all the bucks in my area. By the end of summer into early September, find the food and you find the deer. By the first of September I have all my cameras on trails related to the food sources. The bucks are in their bachelor groups and it’s a fun time to get lots of photos of them as their antlers become fully mature and shed their velvet the first week of September. Keep in mind that the food sources may not be the most obvious ones. The deer feeding in alfalfa and soybeans are the most visible, but there may be a lot of deer also feeding on freshly fallen acorns, hazelnuts and other mast crops. Archery season here in Minnesota opens the middle of September, and it’s hard to overstate the value of the placement of the cameras during the first half of the month. Through the second half of September and into the first half of October, the bachelor groups are breaking up and the cameras help you keep track of where the bucks are going. Trails associated with feeding patterns seem to offer the best sites at this time, but by the second half of October, things will radically change. Putting your cameras on active scrapes during late October will offer plenty of opportunities to get photos of the bucks. 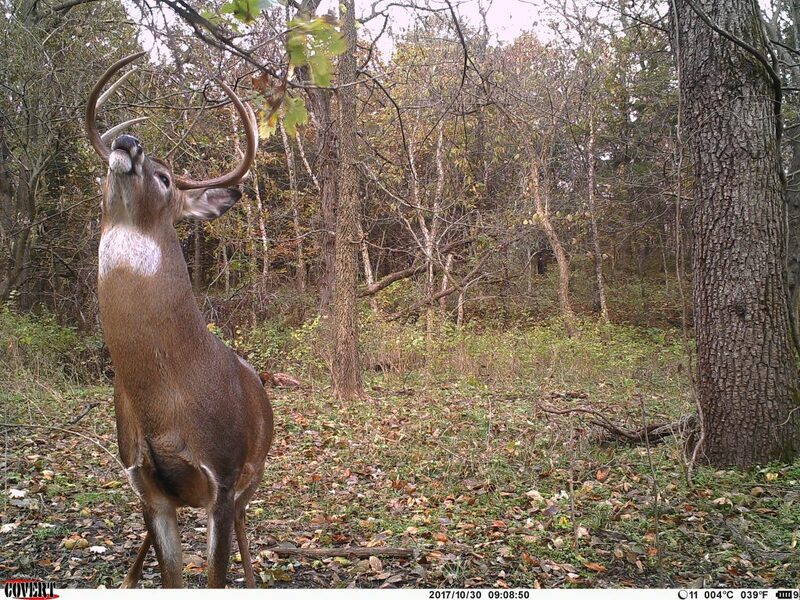 The first three weeks of November is peak breeding time across most of the whitetail’s range in North America. The movements of bucks will seem totally random, and in a sense, they are, but they will be looking for does. 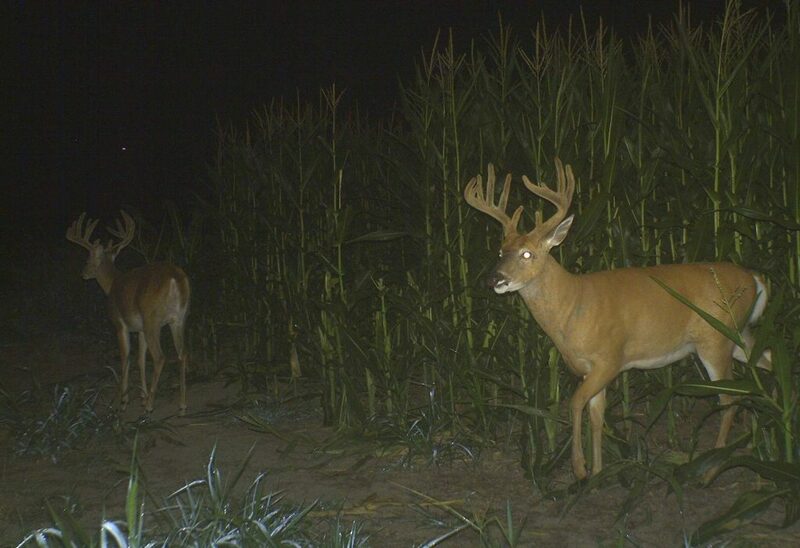 After the season is over, the deer will find the food again, particularly high-carbohydrate foods like corn. 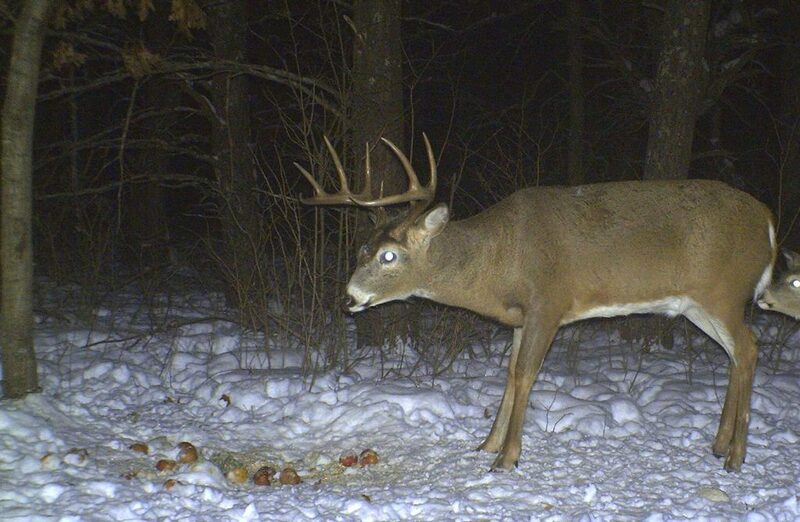 Winter is a good time to learn which bucks made it through the season and monitor the shedding of their antlers. This post deserves an award. Thanks for sharing this amazing post. A great tips for beginners like myself.